Lab Procurement Insider Blog - Brand Name Lab Items: Worth the Price? Should you always take brand into consideration? For commodity items used in the lab, are the much higher prices you pay for a brand name product really yielding more reliable results? Are they worth the premium price? Are you aware of how much more you are paying to get a brand name product? When should a brand name be given preference? • In the middle of a carefully documented research project where changing out any component could jeopardize the entire study. 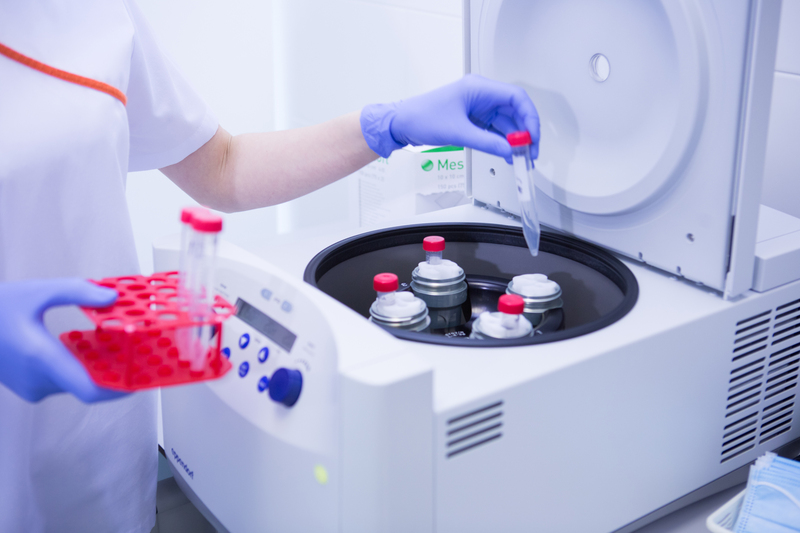 • Performing lab tests using reagents and instruments that, through an initial trial and error setup phase you have settled on a combination of equipment, reagents and supplies that you know and trust. Note: This isn’t a blanket statement to eliminate changes of any items. Does the brand of wiper you use to wipe the tip of your pipettor really make a difference? • The research is being funded by a company supplying materials they have specified that should be used. • When you can get a brand name product for a price comparable to other brands with comparable products. Are the brand names really that much more expensive? As a general rule, they are. Marketing materials these companies pump out try to scare customers into believing that buying anything less than “the best” (their brand) will lead to, at best less accurate results or at worst, a catastrophe. What are some examples of companies with premium brands? This is just a partial list and I’m sure you could add more. Each of these companies has a valuable brand and each have different approaches to capitalize on their brand strength. Before we take a look at these companies, let me comment on “List” or “Retail” pricing in this industry. If the item is available from a number of different suppliers (e.g., pipette tips) the list price is set at many multiples of the wholesale cost so that when a discount is applied the customer will think they are getting a great deal. In the life sciences (e.g., DNA reagents), these items are almost exclusively sold direct at list price and almost never sold through distributors or resellers. These two companies have a lot in common. They are both very large, multi-billion dollar, well established companies who have been around for a very long time. Corning, founded in 1851, is a large conglomerate of companies and industries served. In the life sciences, they have acquired many companies with well known brands such as Falcon (purchased from BD), Axygen, Labnet, and Sorenson. Read about the history of Corning here. BD is even larger (50,000 employees vs. 34,000 for Corning) and was established in 1897. Their original products were syringes, (a market they continue to dominate and manufacture today along with microbiological media through acquisition of BBL and Difco and flow cytometers.) Read more about the history of BD here. On items that face competition, these two companies use the same procedure. To get a competitive price on commodity items, their sales rep must be involved. Their policy is to contract directly with the end user. The end user selects a distributor and the distributor. The distributor then applies back to Corning or BD for the difference between their standard wholesale cost and the contract price. It sounds convoluted but the distributors are set up to deal with it. The tube on the left is a Corning Falcon brand 50ml centrifuge tube part number 352098. The tube on the right is the tube we sell manufactured by MTC Bio, P/N C2602. The Corning tube retails for $393.25 per case of 500 ($0.79 per tube) and the MTC Bio tube retails for $149.00 per case of 500 and sell on LabProServices.com for $75.71 ($0.15 per tube) a difference of 81%! 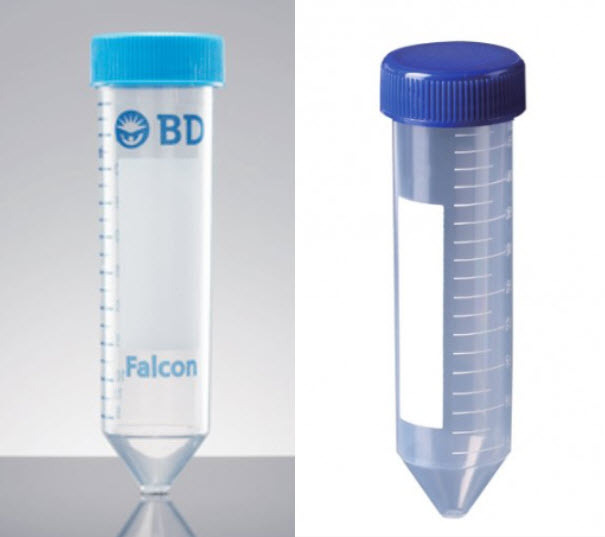 In spite of all this, there are many people who simply will not consider any tube other than a “Falcon tube.” Even with the most extreme distributor discounts applied, the Corning tube is still 3 – 4 times more expensive. Big medical/academic research facilities are frequented by the Corning rep probably don’t pay more than $100 per case! This is one of the worst examples of where customers simply place brand loyalty above any other consideration. Another multi-billion dollar company which is the merger of Mettler Instruments AG founded in 1945 by Dr. Erhard Mettler, a Swiss engineer and Toledo Scale Company, founded in 1900 in Toledo, Ohio. Read more about Mettler-Toledo here. Mettler U.S. is most widely known for two product lines – balances, scales and Rainin® liquid handling products. What most people don’t know is that Mettler acquired Ohaus Corp way back in 1990. The Ohaus line of balances and scales comes off the same assembly lines in Switzerland that the Mettler balances do and cost significantly less. It’s something only the Ohaus reps talk about. It is not really all that surprising that people would pay a lot more for a Mettler balance. Mettler balances are ultra-reliable and many of the balances they made 20 or more years ago are still operating very well today. In my opinion, if you are going to invest in a brand name product, this would be the place to do so. On the other hand, there is Rainin Instruments who have become the dominant player in pipettors and tips, selling at high prices and, up until recently only selling direct. Primarily because of the Mettler-Toledo brand and the power of a big marketing budget. Their pipettors are good. Their “light touch” LTS came along at a time when repetitive stress syndrome was a hot topic. But the LTS pipettors are, by no means the only (or even the best) solution to avoiding repetitive stress! However the LTS pipettors were a great way to turn buyers attention away from what had been a big issue, pipettors that use proprietary tips only available from the pipettor manufacturer, and provide a reason to put that fear aside. Today, they face a myriad of strong competitors and yet they dominate the market. It is a testament to the power of the brand as well as how fads play an important role in the success of one product over another. This is a $4.5B company owned by institutional investors that was spun off from HP back in 1999. They have for many years been the dominant player in GC and HPLC instruments. More recently, they have entered the life sciences market with Microarrays, immunochemistry analyzers, FISH probes and bioreagents. Read more about Agilent here. In the U.S., Agilent has primarily sold its HPLC and GC instrumentation on a direct basis. In foreign markets Aglient has sold through distributors. The extensive array of consumables, repair parts and add-on’s (e.g., autosamplers) were initially sold through distributors and chromatography specialty resellers. As Agilent has grown, they have become more and more reluctant to sell other than directly to end users. Agilent no longer sees the need to have distributors sell its products and sacrifice margins. Are consumers ready to make the leap that the value they see in the Agilent brand for the instrumentation translates to the consumables used for sample analysis? No consumer I’ve ever met believes Agilent actually makes a lot of their consuables such as vials, septa and caps. With so many sellers like Restek making the replacement parts which have been used without issue for many years, will the Agilent brand be strong enough to bring customers back? Agilent isn’t taking that gamble. The method they have used to sell commodity items is called “bundling.” This is a tried-and-true formula for many name brand companies which was pioneered by both Coulter Electronics and Beckman Instrument Company. They are now “victims” of the bundling idea having first merged and then subsequently themselves were “bundled” into the Danaher portfolio of companies in 2011. To bundle, the company representative goes to a large customer and offers them a contract for the full range of products and services their company. The trade off is a discount on the hourly rate for a service engineer (the single most profitable division of any instrumentation company) in exchange for agreeing a promise to buy consumables during the period of the contract direct rather than through distributors or competitors. This is a very tempting offer that most large customers find too appealing to refuse as they have seen many of their peers sign agreements. The time to sit down and accurately calculate approximately how much this is saving (or costing!) is seldom taken. On the life sciences end of the Agilent business, they have gone the same route as most of the other life sciences businesses – no discounts, direct only. No surprise here. There is a huge advantage in any market to getting there first. In the molecular biology market (think DNA.) Roche milked a patent on Polymerase Chain Reaction reagents for billions of dollars until it thankfully expired on March 29, 2005. The other big dog who got into the DNA game early was Applied Biosystems (ABI) who held many of the patents on primers. Without the primers there is no need for PCR reagents, so it was no surprise that Roche and ABI teamed up to keep this nice little sandbox all to themselves for as long as they possibly could. Both companies made instruments which consumed these reagents and both companies had brand names that could be trusted. Invitrogen got its start in 1989. It’s specialty was primarily in being able to isolate DNA and RNA samples from biological samples. In 1999 they purchased Research Genetics who specialized in synthetic DNA chemistry and then began a string of acquisitions starting with Life Technologies / Gibco in 2000, Molecular Probes, Dynal, Pnvera, InformMax, BioSource, CellzDirect, Zymed, Caltag Labs and in 2008. It doubled its size by acquiring Applied Biosystems. At this point the combined companies were called Life Technologies who in 2010 bought Torrent SystemsRead the full details at your own pace here. Thermo Fisher has been acquiring premium brands (see section on Nalgene) for years, but the crown jewel of their acquisition team was the nearly $16b acquisition of Life Technologies on February 3, 2014. The shock waves from this acquisition are still being felt around the world. This, I believe, was and is the biggest game changer the lab supplies market has ever seen. The topic of this blog post is the value of brands. And the value of the Life Technologies brand with all of the companies like ABI that fall under this umbrella and have been trusted by scientists since this technology was literally invented is inestimable. Molecular biology remains as much an art as a science. It is outrageously expensive. Reagents can run into the thousands of dollars for microgram quantities! The pace of change is dizzying with new companies being set up almost on a daily basis around the world to produce new reagents and supplies. Old companies like Bio-Rad have fought obsolescence by focusing their attention on this highly lucrative market. The market is lucrative because almost NOBODY GETS A DISCOUNT! The amazing thing is that this has been accepted as normal practice by scientists who seldom push back against vendor’s prices even when they increase by double digit percentages year over year. Scientists doing this type of research have discovered what works for them. They simply can’t afford to take a chance looking at a competing product to save money. The pace of research is simply too fast and companies have figured out this is a highly lucrative game. Anyone in this game first has a bigger following than any Johnny Come Lately company. Because of this, the Invitrogen brand will remain for the foreseeable future a product that scientists will continue to buy without questioning the price. This was the best $16 billion dollar investment Thermo Fisher will ever make. The Eppendorf Product Manager wrote me the other day and accused me of writing anti-Eppendorf articles. I confess, I have. After this, I will be forced to sing the Brittany Spears said, “Oops, I Did It Again.” My apologies in advance to Eppendorf who truly make an excellent product and deserve respect for having such a rich history of innovation and quality. My beef is not with their products, just the prices and their tactics to keep people from looking elsewhere. In the U.S. we have long been convinced that German Engineering is worth a higher price. The Swiss come in a strong (and strongly contested) second. Whatever the product, (cars, centrifuges, watches, pipettors or tips) you expect to pay more to get “German engineering.” I used to work for a German engineering company. I’ve been in their R&D facilities many times as well as U.S. engineering companies. I’ve seen firsthand that they make mistakes. My 1985 BMW 3-series (leaky transmission starting on day one) and my 1988 Audi (repetitively failing Bosch computer board that cost $3,000 to replace) are testaments to this. But like you, I paid a lot more to get these brands because I trusted them to be better than the domestic product. And that was just common knowledge at the time! We all know that Eppendorf tips are great. But will your lab results improve so much by using them that you should pay thousands more per year? Eppendorf is a private company, based in Hamburg is a $700M+ company. It was established in 1945. They are rightfully proud of their history and, if you’ve ever seen one of their booths at a trade show like Pittcon, they obviously spend a lot to protect and enhance their brand. Read more about Eppendorf here. For more information about pipettor accuracy read our Article on PipetTipFinder.com. The word Nalgene™ is so well known to hikers and campers that this has become the generic term for a water bottle with a screw cap. Nalgene became Nalge Nunc international after merging with the Danish company Nunc in the 1990’s. It was acquired by Thermo Fisher in 2004. This is a plastic jug molded of polypropylene and has been in production for over 50 years. The retail price for the 5 gallon version (20L) is $460.94 (see photo on the left above.) The retail price of the Globe Scientific version of this carboy is $111.20. (See middle image in photo above.) There are numerous other companies such as Foxx Life Sciences (shown in photo at right above) who sell competing models with far better designs (e.g., rectangular, better caps, spigots that don’t extend below the level of the carboy, etc.) at similar savings. It has often been correctly said, “Brands matter!” The least often asked question is “Should the brand matter?” In some cases, it is a resounding yes! But in many cases, given a little thought it is just a waste of money NOT to give consideration to a product manufactured by a company whose brand names you might not recognize. It’s a legitimate reason not to take the time out of your research or your busy day to investigate alternatives is not a good use of your time. At LPS, that’s what we do every day for our customers and then let them decide.